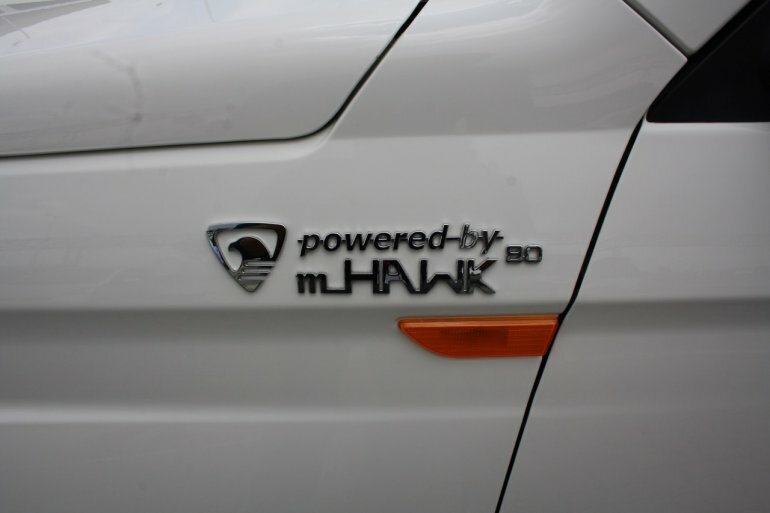 Packs a new mHawk diesel engine with 84 PS and 230 Nm. 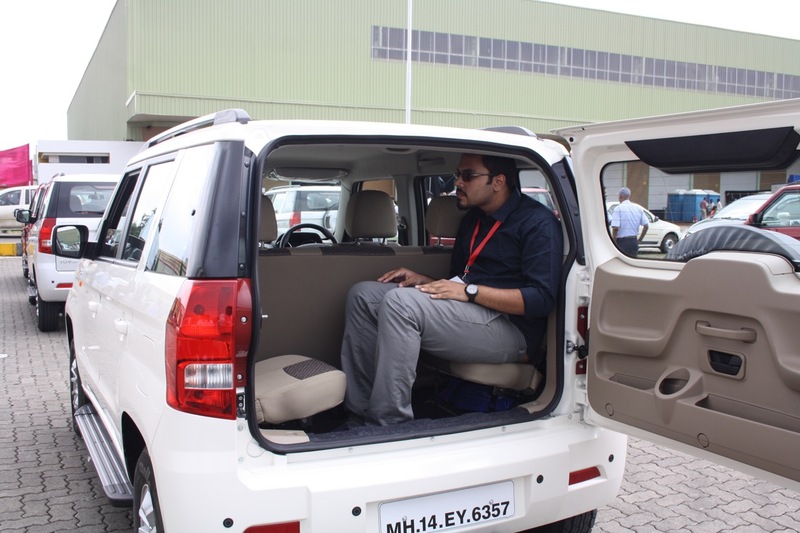 Post the launch of Mahindra's all new TUV300, the company was kind enough to let me have a go in their latest creation, although it was only for 15 minutes. 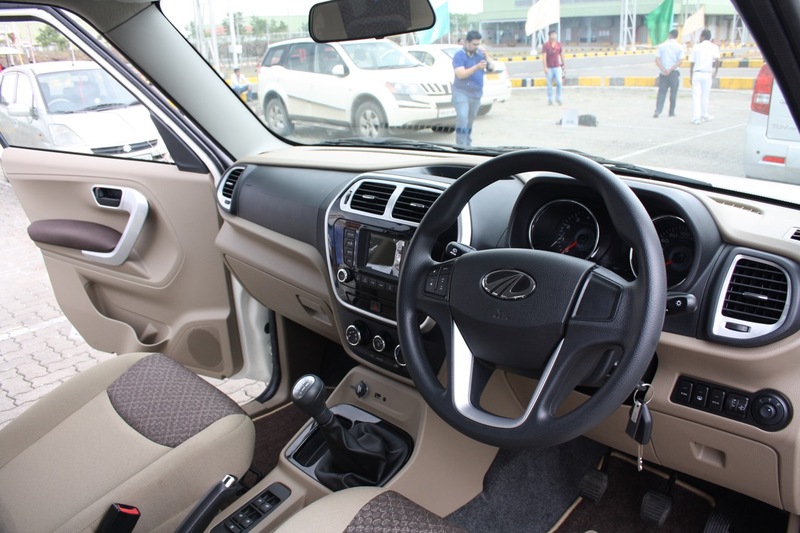 Nevertheless, I tried to push the car through its paces, as well as have an unobtrusive look at the exterior and interior of the TUV300 within the limited time. 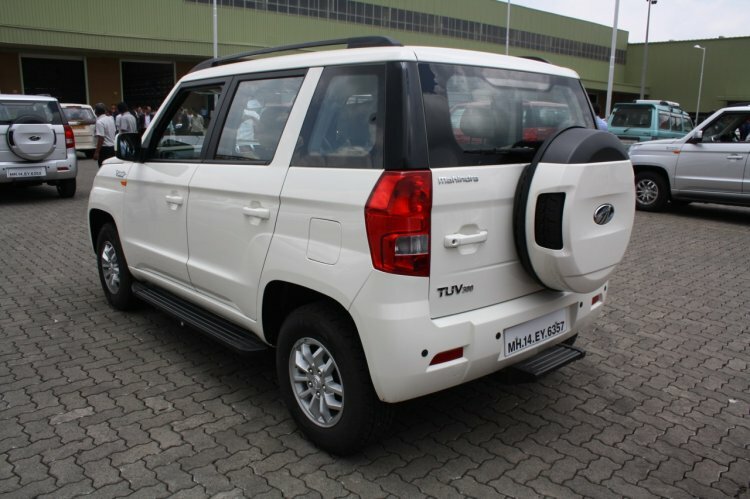 The TUV300 has a distinctive styling that will have mixed opinions among SUV customers. Upon first glance, it's easy to call the TUV300 a "compressed Mahindra Bolero." However it features distinctive elements that lend a unique look to the sub-4m SUV. The front-end gets a Jeep-inspired grille with chrome inserts, swept-back headlamps with static bending, and a pair of square-shaped foglamps flanking a rectangular mesh intake. Like a few Mahindras, the vertical grille slat grille looks similar to any Jeep product. Stepping to the side, I was baffled by how Mahindra managed to keep such a bold design in under 4 meters, without looking like a small shoe box. Although the first word that comes to any mind is "boxy", it's actually what true SUVs are meant to look like. 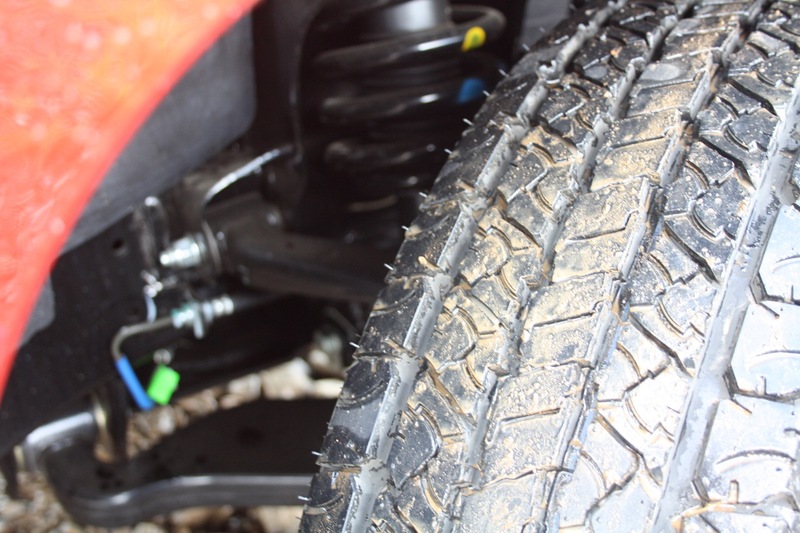 The TUV300 is tall, has a good ground clearance (184 mm), and sits on chunky tires 215/75 R15 tires, which collectively suggest that it can take a beating, and escape unhurt. Its sub-compact proportions will look awkward at first glance, but over time, it starts to grow on you. At the back, the D-pillar is blackened for a floating roof impression, and features conventional vertical taillamps, a full size spare wheel mounted on the tailgate (SUV styling 101), and a step for easier access to the third row. Despite being a sub-compact and price conscious SUV, the TUV300 doesn't lose out on features like a tailgate-mounted spare wheel, roof rails, and steps for entry. It measures 3,995 mm in length, 1835 mm in width, 1839 mm in height and has a wheelbase of 2680 mm. Stepping inside the interior is easy, thanks to the large doors, mounted step. The Mahindra TUV300 comes with a simple-looking interior design that is well screwed together. It doesn't rattle while idling, although the gear lever bobbles incessantly. The utilitarian interior is finished in everybody's favorite beige and black combination, and features silver accents in the T8 trim. It tries to break the monotony, and endow a premium feel to the cabin. Interior design is simple and ergonomic. 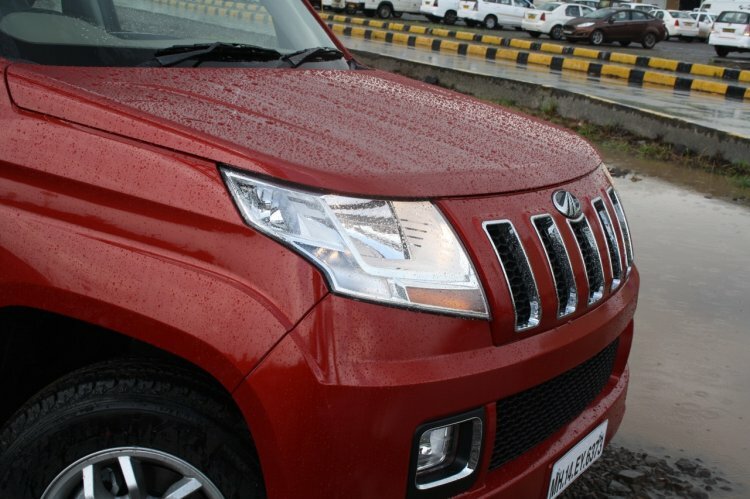 It sits between the tough design of the Mahindra Scorpio and the heavily styled interior of the Mahindra XUV500. 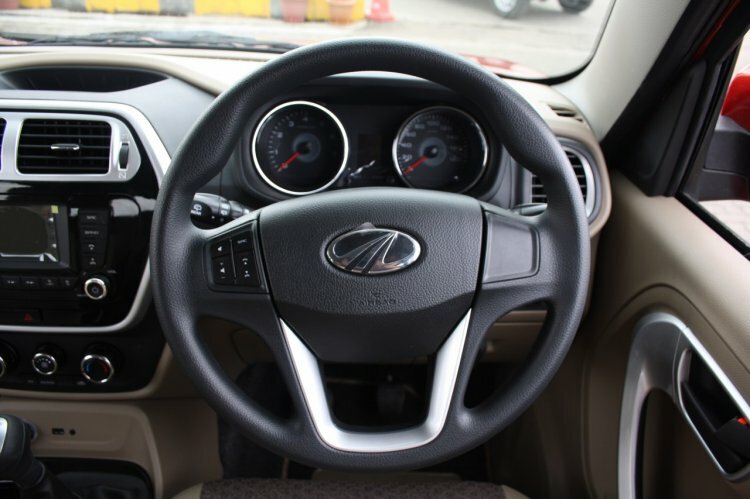 As for build quality, Mahindra appears to be improving in this aspect with every new product. The plastics don't look as cheap, and the texture feels good to the touch. For something that's as aggressively priced as the TUV300, the build quality doesn't appear to have any compromises. Coming to the center console, the design of the hexagonal silver trim bezel looks similar to a certain Maruti that launched this year. The console itself features a piano black trim, and houses the HVAC vents and infotainment system. 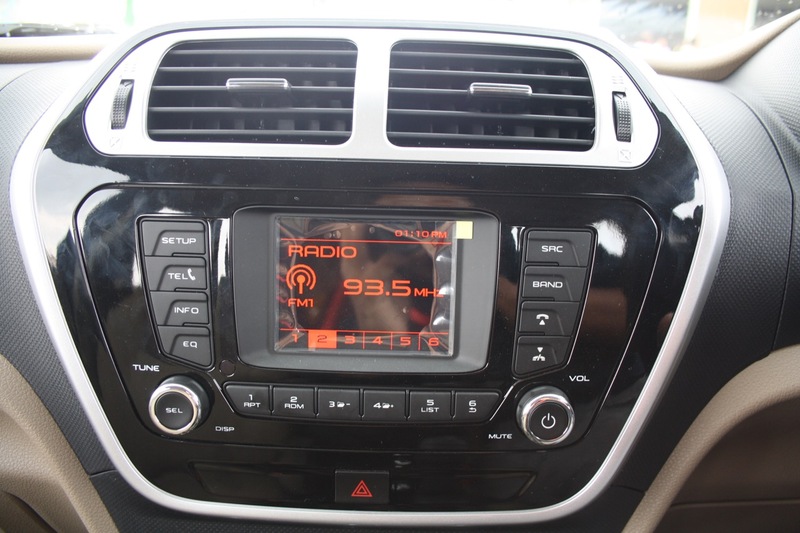 The design of the hexagonal silver trim bezel looks similar to a certain Maruti that launched this year. The top-end trim comes with a small infotainment non-color display, standard music controls and bluetooth connectivity. Given the limited time we had with the car, we couldn't pair it to a phone and test it out. No touchscreen system on offer, although you won't be disappointed with the on-board infotainment system. 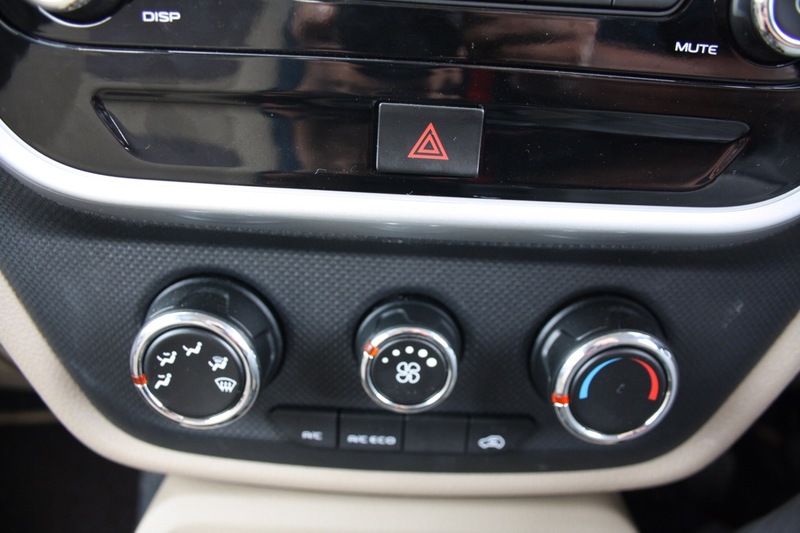 Underneath the center console are the HVAC (Heating, ventilation and air conditioning) dials with chrome rings. The HVAC system brings down the cabin temperature in a short span of time, and has a separate setting to increase fuel efficiency. HVAC system brings the cabin temperature low in a short span of time. 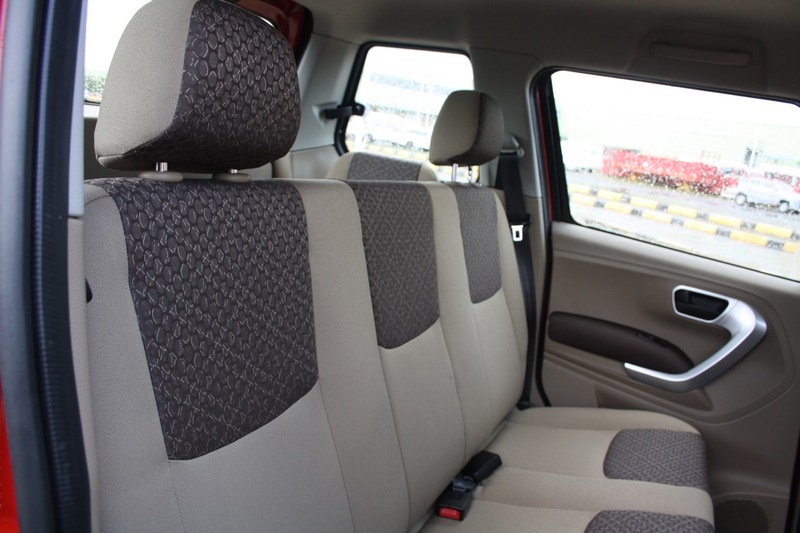 Stepping into the second row, the TUV300 has decent amount of headroom for a large passenger, but average legroom. There isn't a foldable armrest in the center, and lacks bolsters for back support, which could prove to be uncomfortable over long drives. Second row seats are standard fare. The tall height allows for good legroom, while the sub-4m length affects legroom. 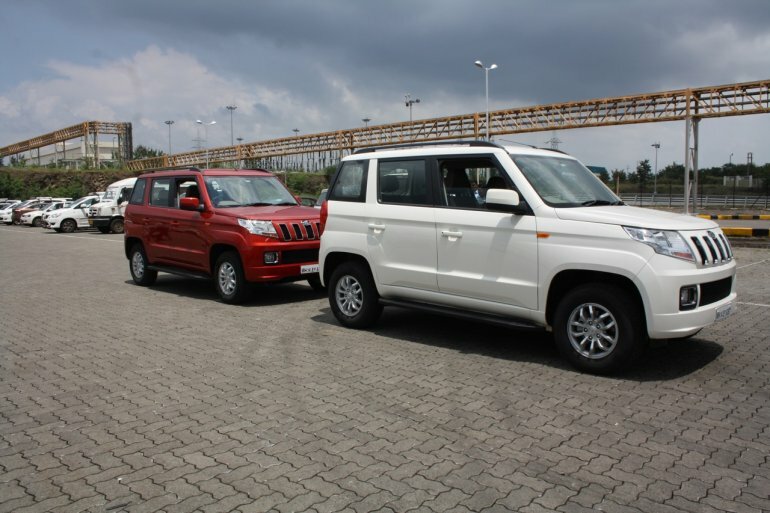 Surprisingly, Mahindra has also equipped a couple of jump seats in the third row, in an attempt to upstage its rivals. But a 6-footer might probably have to saw off his/her legs to accommodate another person, let alone sit comfortably! As you can see, a six-footer like me isn't comfortable in there. With the second row seats up, it has a boot volume of 384 liters, which is acceptable for a vehicle that measures only 3,995 mm long. Powering the Mahindra TUV300 is a 1,493 cc three-cylinder mHawk 2-stage turbocharged diesel engine producing 84 bhp at 3,750 rpm and 230 Nm of torque between 1,500-2,250 rpm. 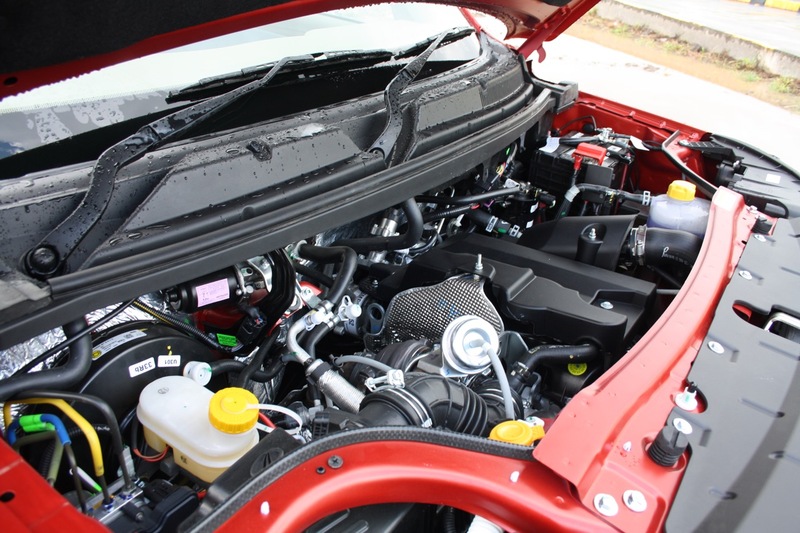 It is paired to a 5-speed manual gearbox or a 5-speed AMT (brings down the power to 81 hp). The TUV300 packs a 1.5 liter three-cylinder mHawk 2-stage turbocharged diesel engine producing 84 bhp and 230 Nm of torque. The engine is sprightly and sends its peak torque to the rear wheels in a linear manner. Although 84 hp doesn't sound like a lot on paper, in no way did the TUV300 feel under-powered during the short drive. Even before the twin-scroll turbo spools, the TUV300 is not lethargic to sprint forward. 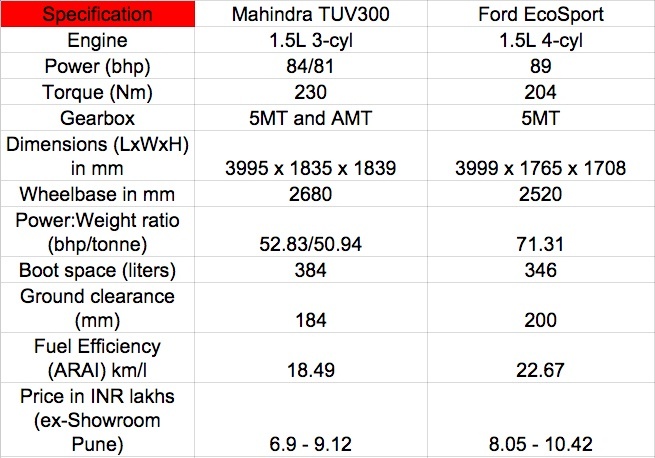 Here's a specification comparison between the TUV300 and its closest rival, the Ford EcoSport. 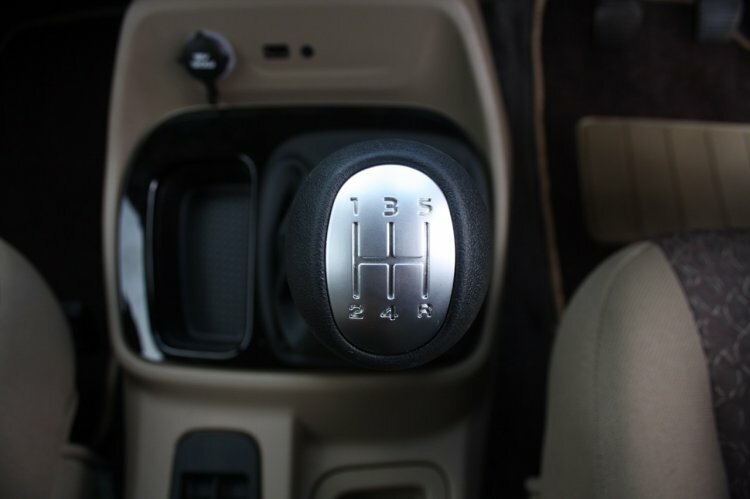 However, the 5-speed manual gearbox is a disappointment. Like the XUV500's 6-speed unit, it has a long throw and requires gentle treatment, ruling out the possibility of spirited driving. If this happens to be a deal-breaker, Mahindra has also introduced their first-ever AMT transmission developed along with Ricardo, although we cannot comment on its performance before driving one. The gearbox has long throw and rough gear shifting. Clutch pedal feel is on the lighter side, has good length of travel and an easily predictable biting point, which makes for precise take-offs. As for fuel efficiency, the Mahindra TUV300 has an ARAI-certified fuel consumption of 18.49 km/l. The relatively low figure could attribute to its heavy kerb weight of 1590 kg, despite the presence of an Eco mode and Micro Hybrid technology (start-stop system). The TUV300 looks like it can take a beating. 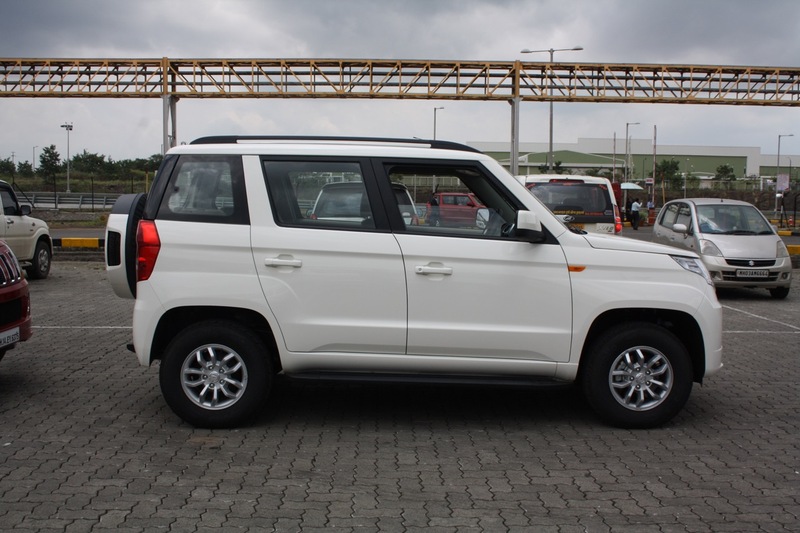 The Mahindra TUV300 is based on the company's third generation hydroformed ladder-frame platform, and features a double wishbone setup in the front and a multilink system at the back. Since I only drove on smoothly paved roads inside Mahindra's facility, it's tough to pass a judgment on the suspension just yet. On the said roads, ride quality was pliant and reasonably comfortable. Given the tough setup and high ground clearance, it could go over nasty potholes and speed bumps without hassle. The TUV300 gets a double wishbone setup in the front and a multilink system at the back. The electric steering wheel isn't effortless at slow speeds, but picks up weight as the speed increases. The steering itself is nicely sculpted and a delight to hold onto. Steering wheel is nicely sculpted and chunky to hold. The EPS isn't effortless at slow speeds. The braking system comprises of ventilated discs in the front and drum brakes for the rear wheels. Supplemented by the ABS+EBD, the Mahindra TUV300 comes to a halt quickly. Unlike the Mahindra XUV500 we earlier tested, the brake pedal feel in the TUV300 was spot on. The force applied on the brakes felt linear and progressive. 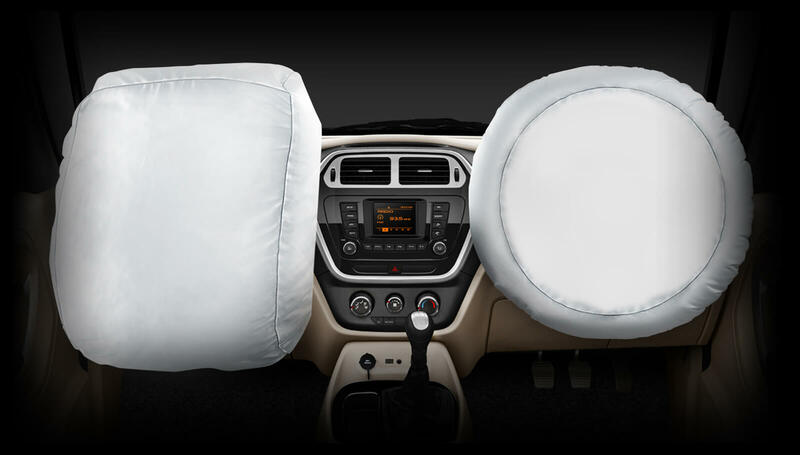 Acting upon the increasing awareness in occupant safety, Mahindra have decided to offer dual airbags and ABS+EBD as optional equipment on every variant. Mahindra has also focused on increasing the structural rigidity of the vehicle, and claims that it meets the current Indian safety regulations as well as the revised version that will come into effect in 2017. 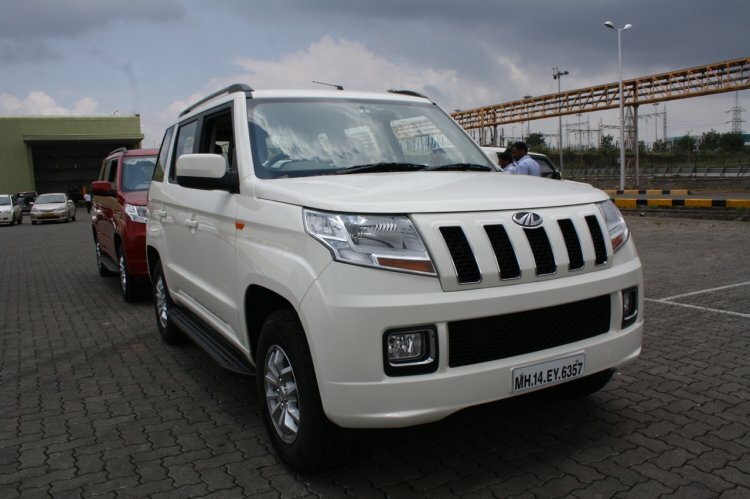 The Mahindra TUV300 was launched at the following prices ex-Showroom, Pune. 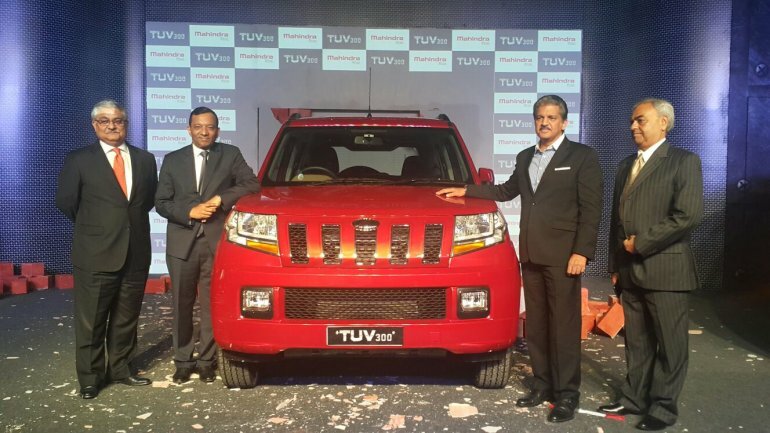 Given the limited exposure to the vehicle, it's unclear if the TUV300 is well worth the money or if Mahindra is asking too much. It's hard to pass a definitive verdict on an all new product that I just got to drive for around 15 minutes. 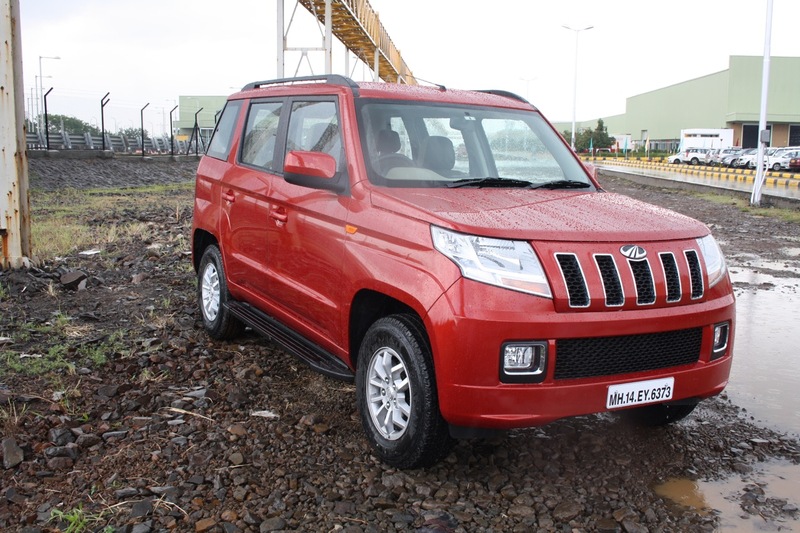 However, initial impressions on the Mahindra TUV300 are quite positive. 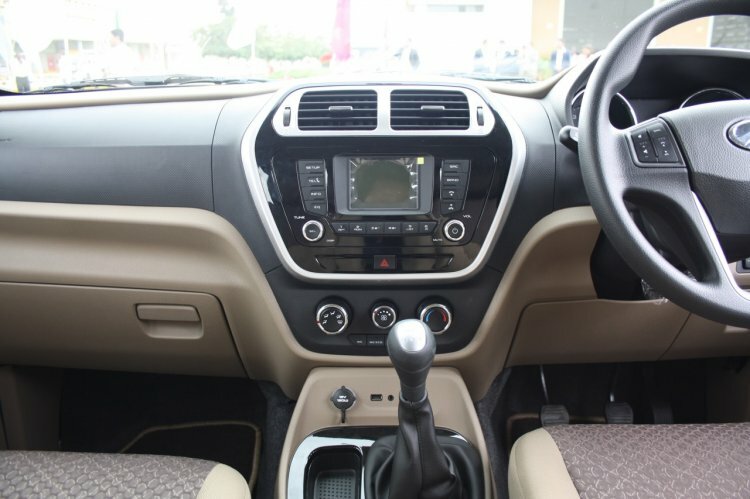 The exterior design of the Mahindra TUV300 is completely a matter of personal taste. I, for one, like the styling of the Mahindra TUV300. It doesn't look like a spruced-up, raised hatchback as a certain rival does, but has the styling of a true SUV. Although its proportions may look a bit awkward on first glance, it slowly starts to grow on you as time passes by. 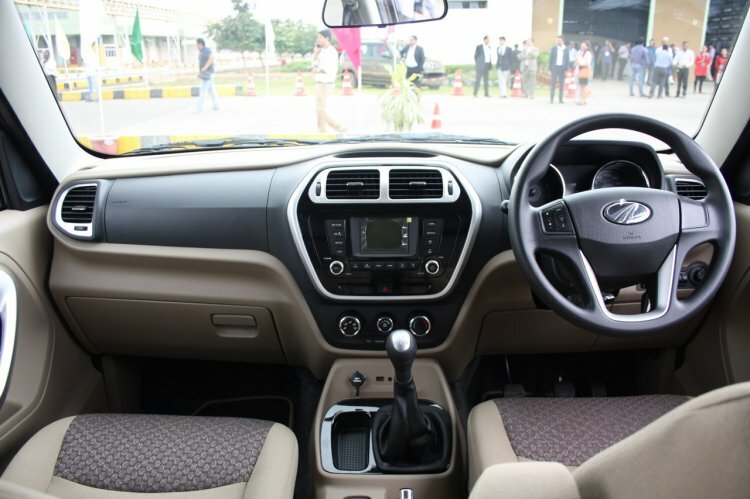 The interior design is simple and ergonomic, and the build quality is a definite improvement over any low-end Mahindra we've seen before. It may not be as generously equipped as the Mahindra XUV500, but the T8 variant comes with a decent list of features that one would expect from an SUV for under INR 10 Lakhs. 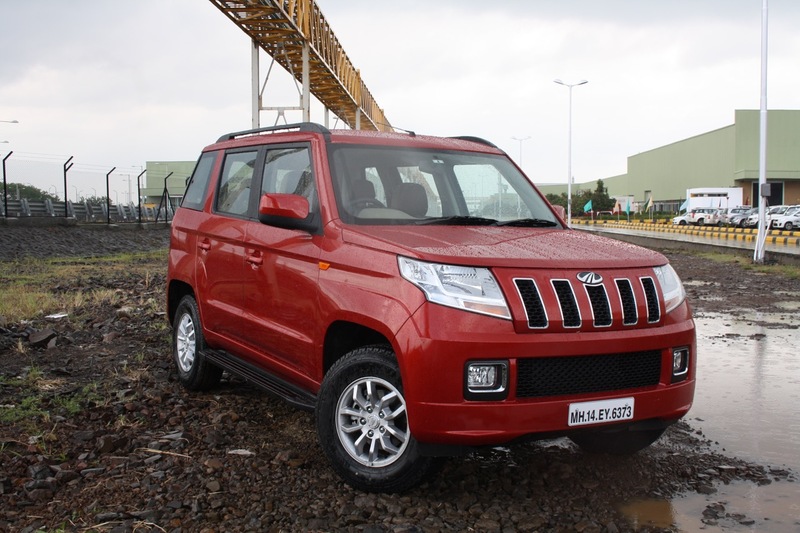 Initial impressions on the Mahindra TUV300 are quite positive. Once we get our hands on a review unit, only then will we have clarity on the areas where the Mahindra TUV300 aces/flops. Until that time, do put the TUV300 under consideration if you're out shopping for an SUV described with adjectives like "tough" and "inexpensive".